One of my favorite things about the temperatures dropping is the opportunity to wear scarves. I’ve always viewed scarves as shoes. Shoes can make or break an outfit and a cool scarf can dress up even the most basic black coat. Once I learned how to knit and crochet scarves were the one thing I was looking forward to making – they are also the easiest things to make when you are just starting out. 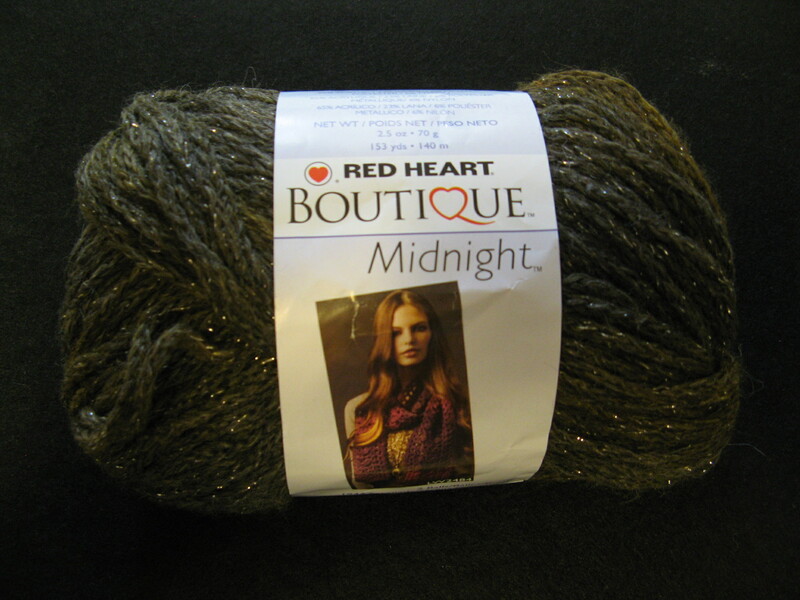 While I am usually partial to working with Lion Brand Yarn I came across yarn from Red Heart that I couldn’t resist. 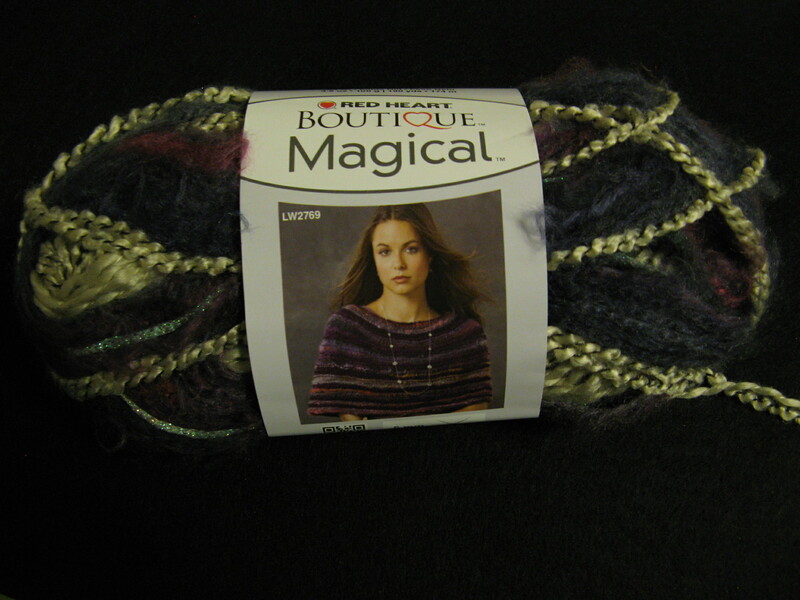 Using Red Heart’s Boutique Magical Yarn in Wizard – which is actually four yarns in one – I created a scarf following a pattern called Spectrum. While the pattern said that only one skein of yarn was necessary to complete the scarf I actually used half of a second skein to get my desired length. One thing I learned quickly while using this yarn is that one section of it is not meant to be pulled apart in the unfortunate event you make a mistake while using it. That happened a few times to me and I ended up ripping the yarn when I tried to pull out the stitches – probably why I needed that second skein of yarn. Next up I followed the Flights of Fancy scarf pattern from Lion Brand Yarn’s website while using Red Heart’s Boutique Midnight Yarn in Whisper – a yarn that has subtle changes in color with a metallic thread weaved throughout it. 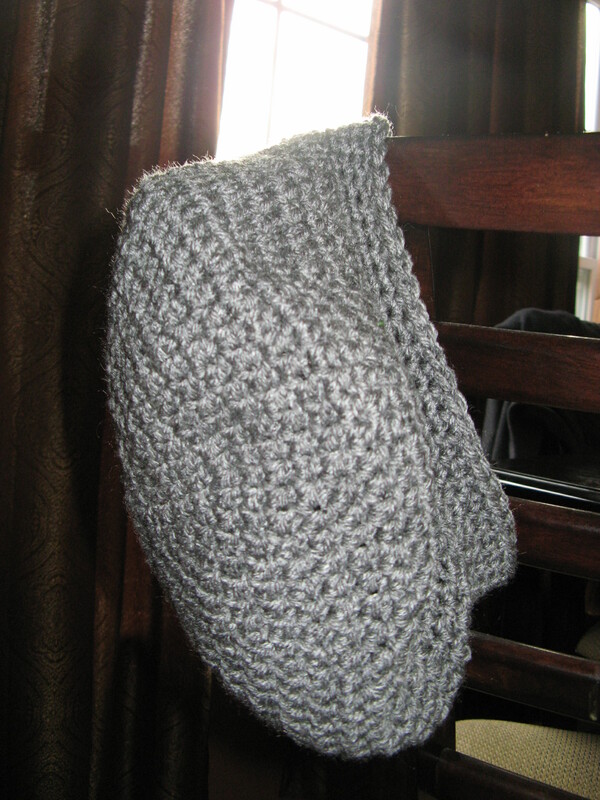 It’s a quick and simple pattern mainly comprised of double-crochet stitches. 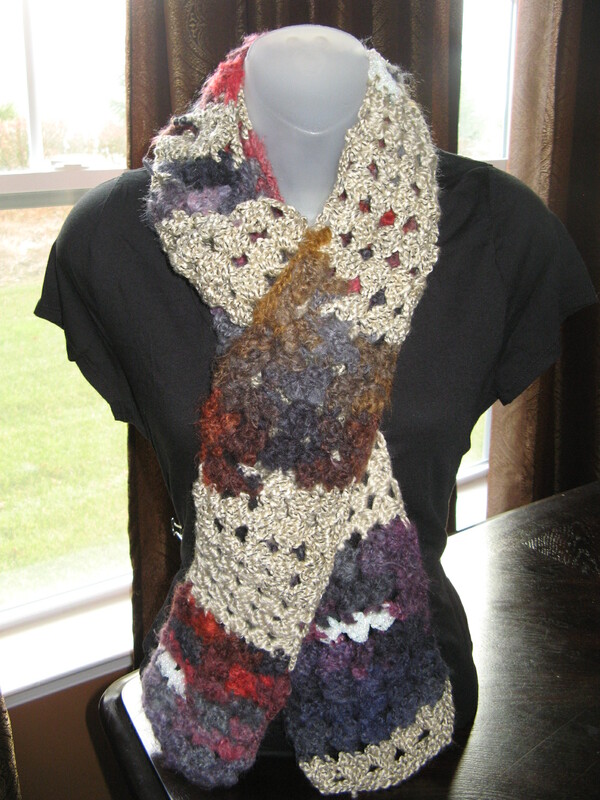 And for the final scarf I used Red Heart’s Boutique Treasure Yarn in Tapestry – which again is a yarn that has subtle gradations in color – and followed the Snapdragon Stitch which is made up of double-crochet stitches and the V-Stitch. 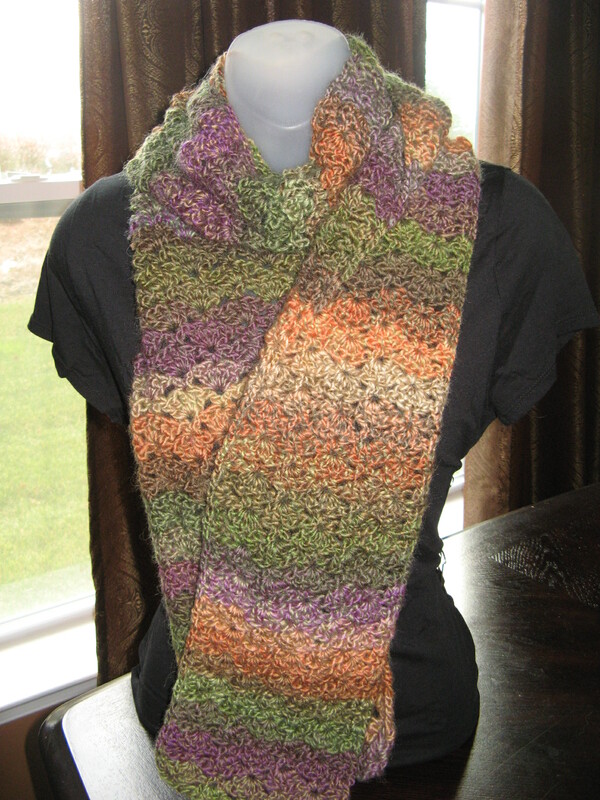 This was definitely my favorite of the three scarves because of the yarn color and the overlook look of the stitches. 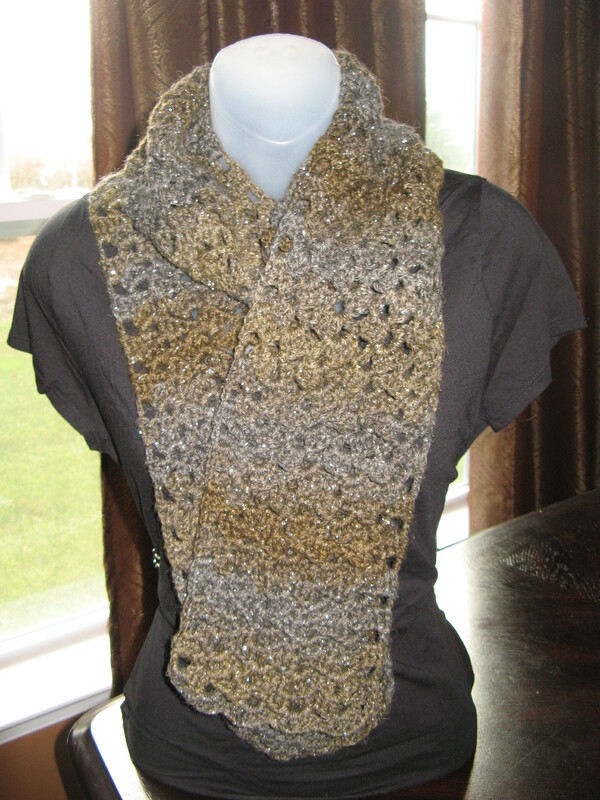 And while most scarves are made with at most two skeins of yarn this one actually took three. I initially only bought two but was lucky enough to find a third one with the same dye lot. My winter accessory collection wouldn’t be complete without a good hat to keep me warm but I have always avoided wearing one. I have curly hair so hats tend to flatten down my curls… Not good. But, I have wanted to get a slouchy beret which seems to have enough room in it to allow my curls to stay intact. Before buying one though I decided to try and make one. First the search was on to find a pattern that would be simple enough to follow. I haven’t made a hat since I learned how to crochet a few years ago so I figured I should stick with something somewhat simple. 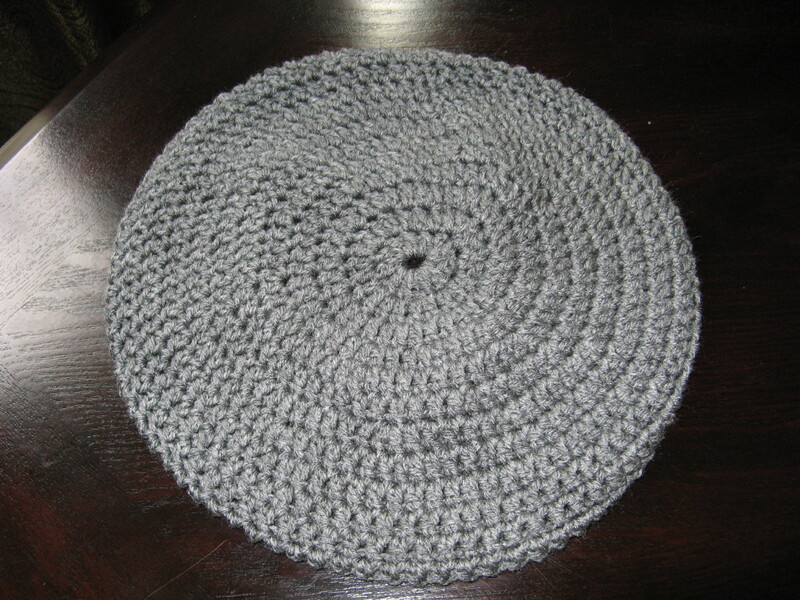 With a Google search of “slouchy beret crochet pattern” I found a pattern from Donna Rutledge-Okoro appropriately titled Easy Slouchy Beret Hat Crochet. 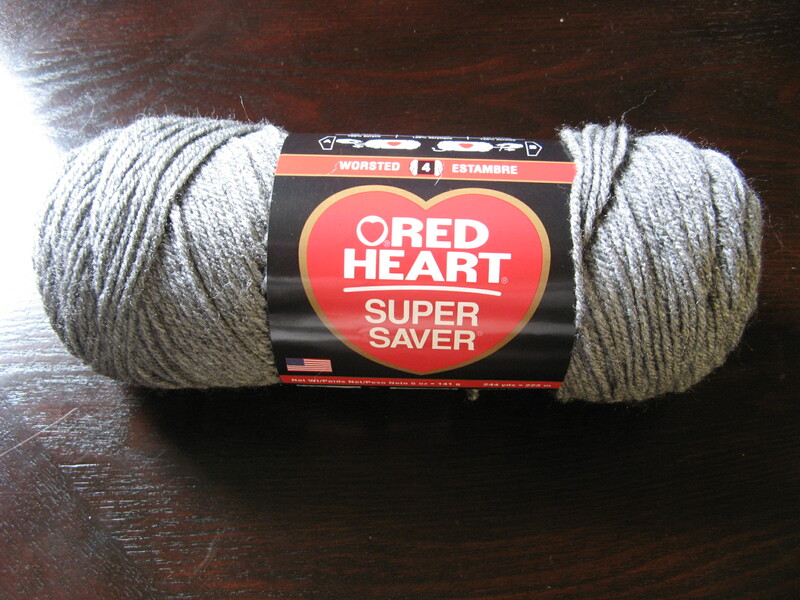 It was simple to follow and suggested using another Red Heart Yarn, their Supersaver Yarn which comes in a variety of colors but I chose Gray Heather. I was able to work this up in just a few hours and just in time too because it snowed the following day! Thanks for stopping by, those scarves look gorgeous, i like the bottom one and the middle one. They are all nice. Have a wonderful week.